The so-called Text-to-Speech (TTS) or applications that convert text to voice are some of the most used tools by computer users that suffer from visual impairment. What's more, they come in very handy when we want to relax while reading, or to memorize a set of notes or to listen to how the language that we are trying to learn is pronounced. 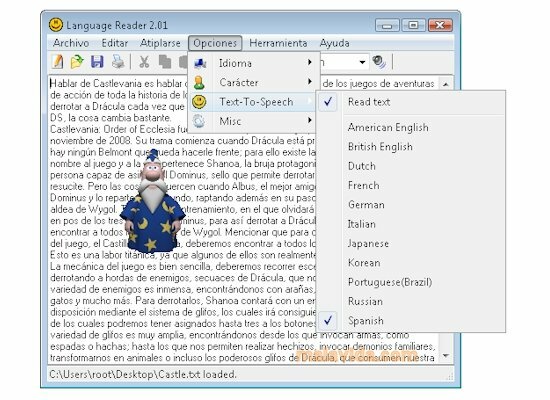 There are many pay Text-to-Speech applications, but if you don't want to spend your money on one, it is advisable that you try Language Reader. It is a simple utility capable of reading any text that we indicate with the volume of our choice. 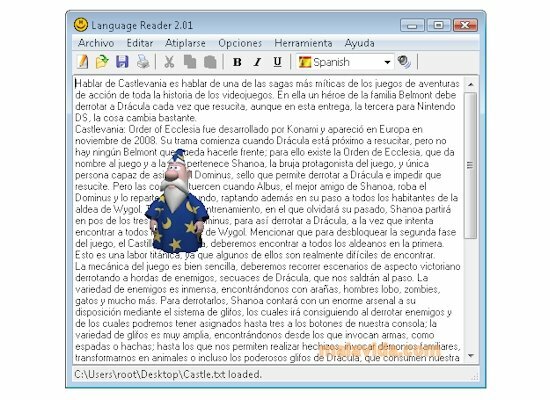 To read full texts or sentences, by using the Text-to-Speech technology developed by Microsoft. Compatibility with the most common document formats: TXT, RTF, DOC, XLS, PPT, PDF and HTML. Availability of different voices for different languages: British and American English, French, German, Spanish, Italian, Portuguese, and Dutch, among others. It makes use of the Microsoft Agent help characters. This download requires an Internet connection to finish the installation. 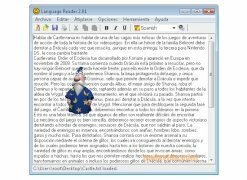 It is necessary to install the Microsoft Speech API (SAPI), as well as the Microsoft characters or engines for each language, that you can download .